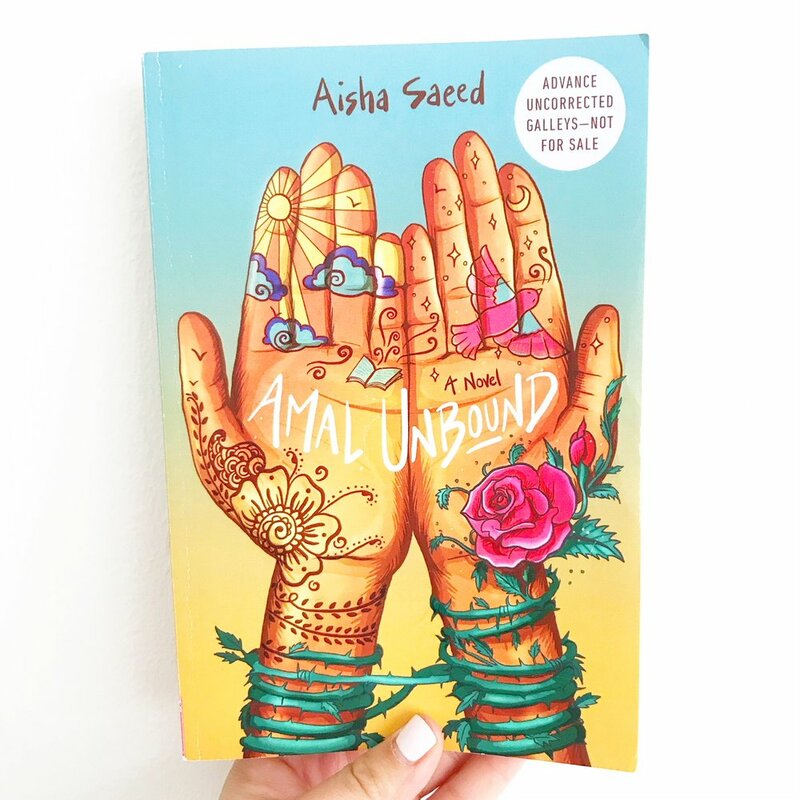 It’s been a while since I shared some wonderful novels for tweens, and this is one of the first books of the year I fell in love with! Lindsey Stoddard’s RIGHT AS RAIN is absolutely fabulous! Happily Ever Elephants' Favorite Novels for Tweens from 2018! Looking for great novels for tweens? These are some of our favorites from 2018! Fabulous List of Easy Chapter Books for New Readers! When your little one graduates from beginning reader books, it’s time for easy chapter books, of course! And these are some of our favorite easy chapter books for your kiddos. Check it out! Oh my goodness. This book. These characters. Refugee by Alan Gratz is middle grade literature at its finest, and once again, my mind is blown by the quality and richness of the stories that are available to our children. Kid lit has come such a long way since I was little, and I love it so much! I’d heard huge accolades about Refugee, and I’m always a bit nervous to read something when my expectations are set so high. But this book didn't let me down. To the contrary, Refugee exceeded my expectations. Simply put: it was absolutely phenomenal. Refugee tells three seemingly separate stories that all merge in beautiful ways at the end. Josef is a young Jewish boy living in Nazi Germany in the 1930s. With the horrific threat of concentration camps on the near horizon, he boards the St. Louis with his family, seeking refuge on the other side of the world. Isabel is a Cuban girl, and her story is set in 1994 as riots and unrest plague her community and her country. She and her family set out on a scrappy raft for Miami, hoping for freedom and safety. Mahmoud is a Syrian boy in 2015. When a bomb strikes his home and his entire world is torn apart by violence, he and his family begin a harrowing journey to Europe. All three kids are driven from their homes due to extreme danger, and all embark on unimaginable voyages towards refuge and freedom. I cannot get over this book. The characterization was stellar. The settings were vivid and authentic, and though the stories shared many similarities, the uniqueness of each journey was made evident through the authors meticulously researched details. The pacing was terrific, the pages begged to be read, and the suspense left me with my heart in my throat. 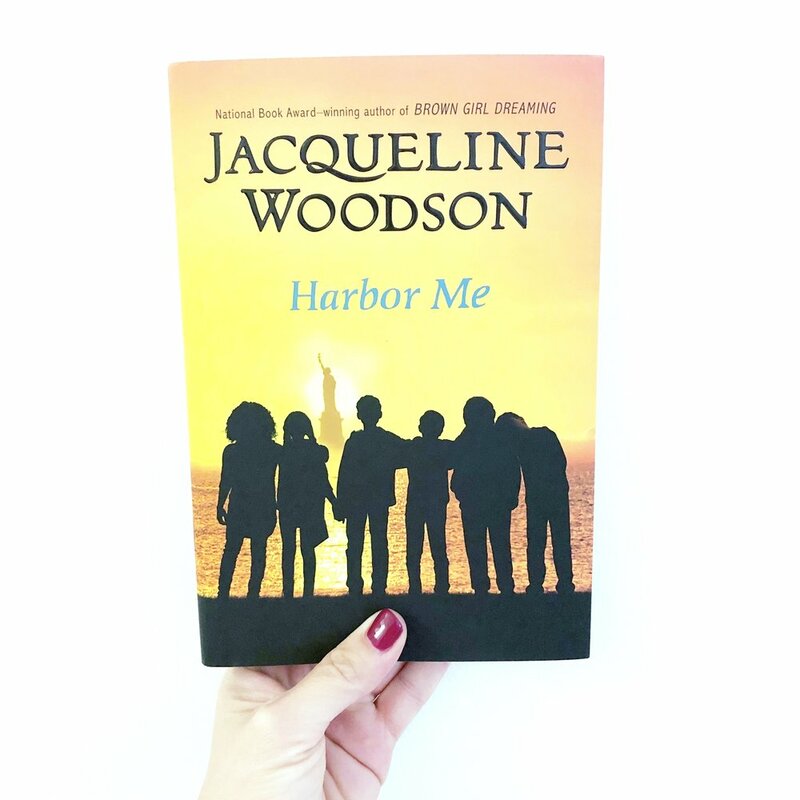 This is a must read -- for learning about world history, for providing windows into the harrowing experiences so many children face on a regular basis, and for recognizing that, despite our differences, we all long for the same things: safety, security, and a welcoming homeland in which to establish our roots. Two trunks up. Want the book? Get it here! Refugee, by Alan Gratz. *This is an affiliate link. The American Dream. People come from all corners of the globe seeking it: freedom, opportunity, justice. Because this is America, right? America -- land of the free, home of the brave. But unfortunately, life in America doesn’t ensure a hardworking family will obtain the proverbial golden ticket. To the contrary, life as in immigrant here can be downright tough, leaving families on edge as they struggle to make money, live in safe homes, and put food on the table for their families. 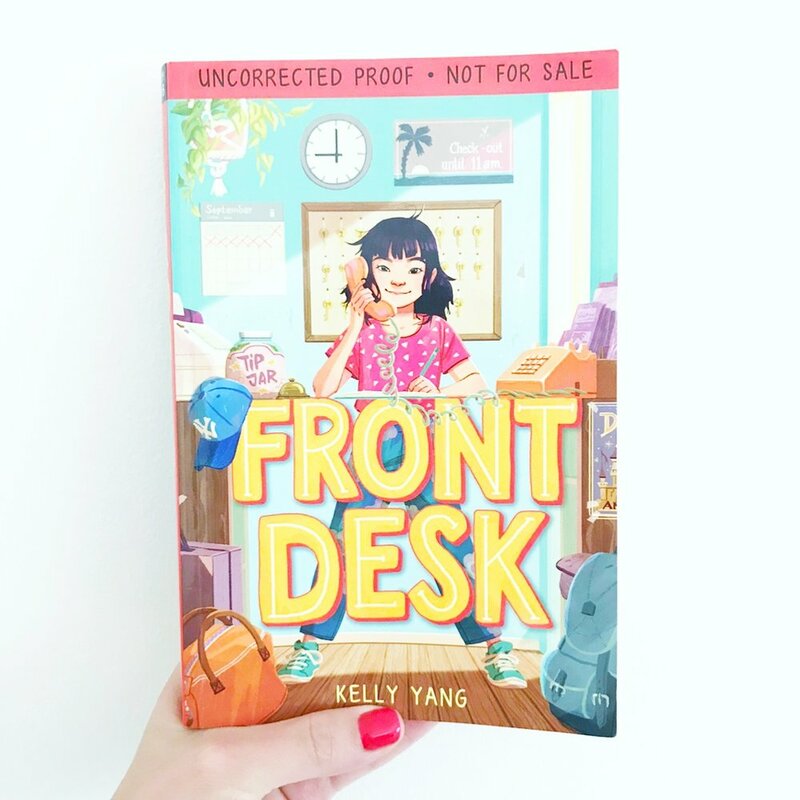 Enter Kelly Yang’s Front Desk, a gut wrenching yet achingly poignant story about a young girl who immigrates with her parents to America from China. Front Desk is the story of Mia Tang who, together with her parents, arrives in America in search of the American Dream. But their hard work and determination doesn’t mean life will be easy, and when Mia’s family finds themselves operating a motel for a cruel and exploitative owner, life is anything but what they had imagined. Mia runs the front desk at the motel, and the tougher her days are, the more she longs for a better and easier life. With the help of a new friend, the motel’s “weeklies,” her devoted parents, and a lucky pencil, Mia may be able to find that she can achieve her own American dreams with a hefty amount of perseverance and a whole lot of heart. Front Desk was absolutely fantastic! 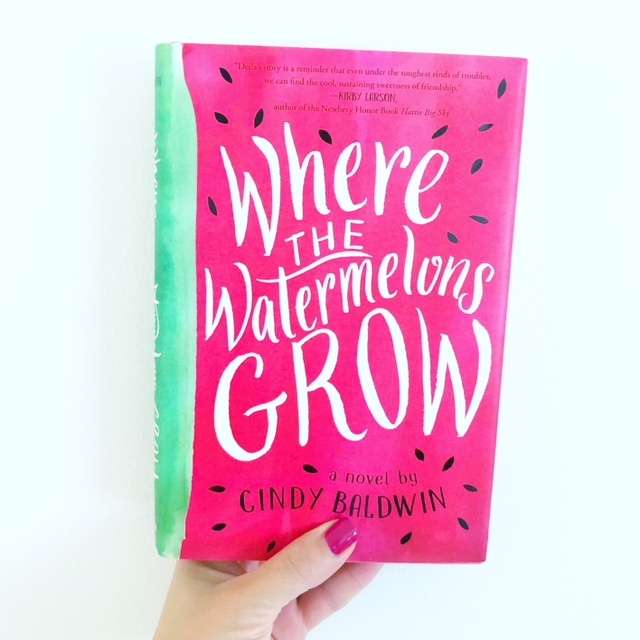 I read it while the boys were at a play date for several hours, and I COULD NOT put it down. Yang’s story, a window for some but a mirror for so many more, is a welcome addition to our tween shelves. The story interweaves some of Yang’s own childhood experiences, and it seamlessly tackles themes of bullying, poverty, assault and racism with compassion and authenticity, all the while being age appropriate for young readers. Front Desk beautifully conveys to readers the power of hope and steadfast determination, and it illuminates one child's struggle to live with grace and integrity in the harsh face of adversity. Front Desk is a thought provoking, beautifully written novel that I cannot wait to get into my students’ hands this Fall. Two trunks up!! IF YOU LOVE NOVELS FOR TWEENS, YOU MUST CHECK OUT THESE POSTS TOO! Want the book? Get it here! Front Desk, by Kelly Yang. *This is an affiliate link. HEE received an advanced copy of Front Desk, but all opinions contained herein are expressly our own. Do you have an advanced second grade reader at home or in your classroom? This is the book for you! Wishtree, the latest novel by Katherine Applegate, got a lot of hype. A LOT. And I’m always hesitant to pick up books like this because I pick them up with extremely high expectations. But this one- with its quiet, piercing beauty- absolutely blew me away. Wishtree lived up to the hype and then some, and I continuously find myself trying to get it into as many hands as I possibly can. "Trees can't tell jokes, but they can certainly tell stories..." And so it is with Red, a majestic oak tree that is nearly two hundred and sixteen "rings" old, harboring secrets and stories that have been nearly forgotten by the people in the community in which it lives. Red is a wishtree who watches over the neighborhood, keeping mostly to himself. When a Muslim family moves onto the street, however, Red witnesses firsthand that all neighbors aren't so welcoming, and even children are forced to undergo hateful messages. It is then that Red realizes his status as a wishtree is more important than ever, and it might be just the time to break with tradition and intervene. Descriptive language? Check. Incredible characterization? Check. Depth? Check. Real world issues? Check. Sensitive for even younger readers? Check. My goodness, how I love this book. Applegate writes with such a light, unadorned touch, yet her words move deeply and speak volumes. She tackles tough, mature topics in an accessible, easy to understand manner, allowing even young readers to grasp the enormity and import of these issues. I am so frequently asked for great books for advanced second graders, and I finally found a modern, perfect one. Wishtree is an absolute beauty. It is a timeless story that soars, with words that stir your soul. It is a treasure, and it will undoubtedly be devoured and loved by children and adults for generations to come. Want the book? 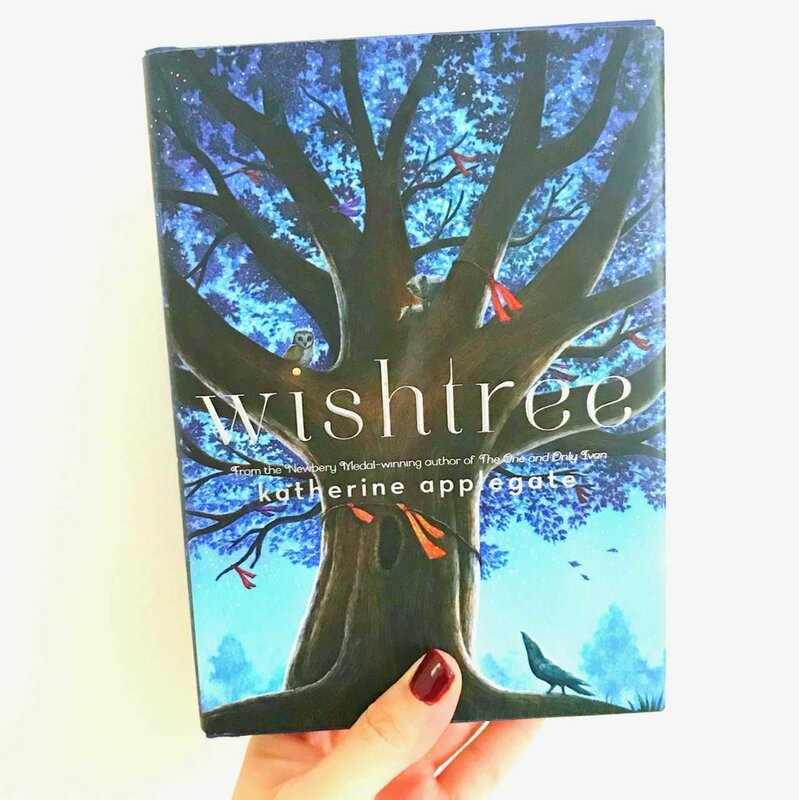 Get it here: Wishtree, by Katherine Applegate. *This is an affiliate link. Looking for books about strong girls to share with your sons and daughters? This is the list for you! I've always particularly loved window books. There's just so much to be learned by reading about a person so different from you, or a time period so removed from the one in which you live. From challenges faced to experiences had, the world seems to open at your fingertips, giving you glimpses into lives so opposite from your own. 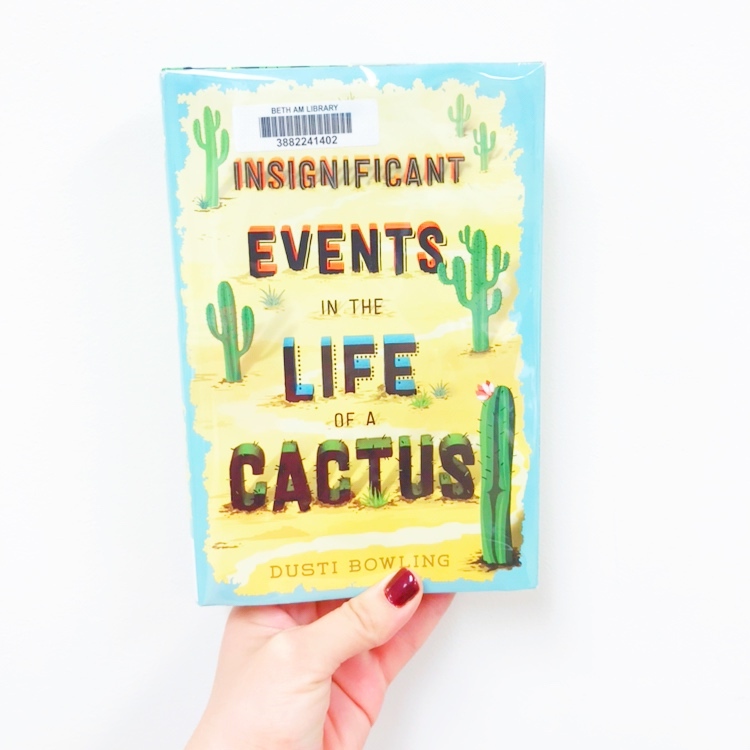 Perhaps this is one of the reasons I loved Insignificant Events in the Life of a Cactus, by Dusti Bowling, a middle grade novel written about a girl with no arms. Aven Green, the story's protagonist, is a spunky girl who loves to make up stories about how she lost her arms. But the truth is, she was simply born without them. And her adoptive parents wouldn't let her sit by and mourn a life of things she couldn't do. Instead, they made her work for everything she wanted -- she opens her own backpack and plays the guitar and eats her own food -- all with her feet. But life with no arms is not easy. Especially when you suddenly find yourself moving to a new state, starting a new school, and friendless. But when Aven meets Connor, a boy at her school struggling with Tourette's Syndrome, a new world opens up for both kids, and they not only learn how to help each other, but they learn a ton about themselves, too. If your kids or students loved Wonder, this is a fabulous "read-a-like" that upper elementary children will devour. Equal parts humorous and emotional, with even some mystery thrown in for good measure, Insignificant Events in the Life of a Cactus was a quick read that truly gave me much to ponder about my advantages as a fully able bodied woman. It is a book that will build bridges and empathy, taking the stigma away from "others" who may be different in certain respects, but who have the same yearnings for friendship and connection as everyone else. A beauty, and one I cannot wait to get into my students hands. Two trunks up! Want the book? Get it here! Insignificant Events in the Life of a Cactus, by Dusti Bowling. 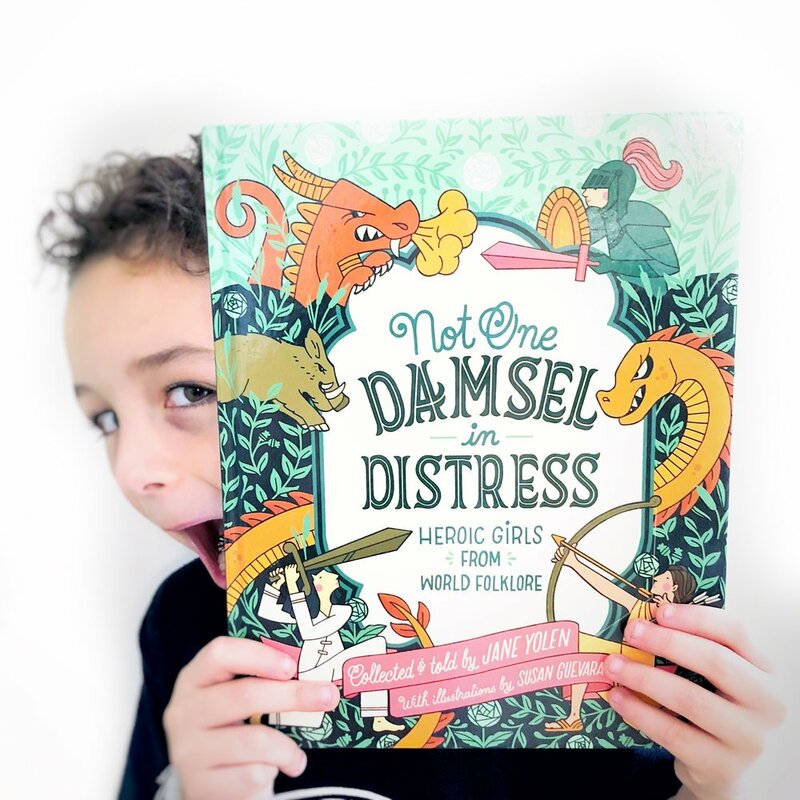 Here’s another one of our favorite books about strong girls for your kiddos. We adore this one about a very favorite author of ours here at Happily Ever Elephants! Another one to add to our collection of books about strong girls! Picture book biographies are flooding our shelves these days, and each one seems to be better than the next. The women and men I have learned about from these books are both inspiring and courageous, and their legacies - their stories of hope and determination and perseverance -- are ones I love to share with my boys and students. But the one I've been most excited about recently is Alabama Spitfire: The Story of Harper Lee and To Kill a Mockingbird, written by Bethany Hegedus and illustrated by Erin McGuire. Because, of course, as cliche as it may sound, To Kill a Mockingbird is my all time favorite book (yes, I still have my original version from 9th grade). And this new biography hit a perfect note - here’s to amazing books about strong girls. Alabama Spitfire tells the story of Harper Lee, born Nelle Harper Lee, on April 28, 1926 in segregated Monroeville, Alabama. An overall-wearing, tree-climbing tomboy, Nelle would spend afternoons at the courthouse watching her father, an attorney, fight for justice. From him, she learned to fight for what was fair and always took up for the underdog, including her good friend Truman Capote (yes, that Truman Capote!) Nelle and Tru both loved books, and with him, she began to embrace her love for words. What follows is Nelle's evolution from feisty child to famous writer: her move to New York City, her dream of becoming an author, and the events that inspired her Pulitzer Prize winning novel, To Kill A Mockingbird, one of the seminal books of the twentieth century. Alabama Spitfire is such a phenomenal picture book to pair with any child holding To Kill a Mockingbird in their hands for the first time. It is also a wonderful story of being true to yourself and following your dreams. With famous quotes from To Kill A Mockingbird woven throughout the text, this gem of a book is a testament to the power of words and an ode to the writer whose story become a classic in American literature. Two trunks up! Looking for more amazing books about strong girls? Check these out! Want the link? Get it here! Alabama Spitfire: The Story of Harper Lee and To Kill a Mockingbird, by Bethany Hegedus. HEE received an advanced copy of this book from the publisher. However, all opinions contained herein are entirely our own. Oh, you guys! I absolutely LOVED LOVED LOVED this book! The Secret of Nightingale Wood by Rebecca Strange was one of the best chapter books I’ve read in a long time. I found myself thinking about the novel while I was at school and while I was driving and during all of those times that I was so busy parenting yet all I wanted was to climb into my bed to get back to Henrietta and her story. It is absolutely no wonder that this was one of Amazon editors' top chapter book picks of 2017. In short - it was fabulous. 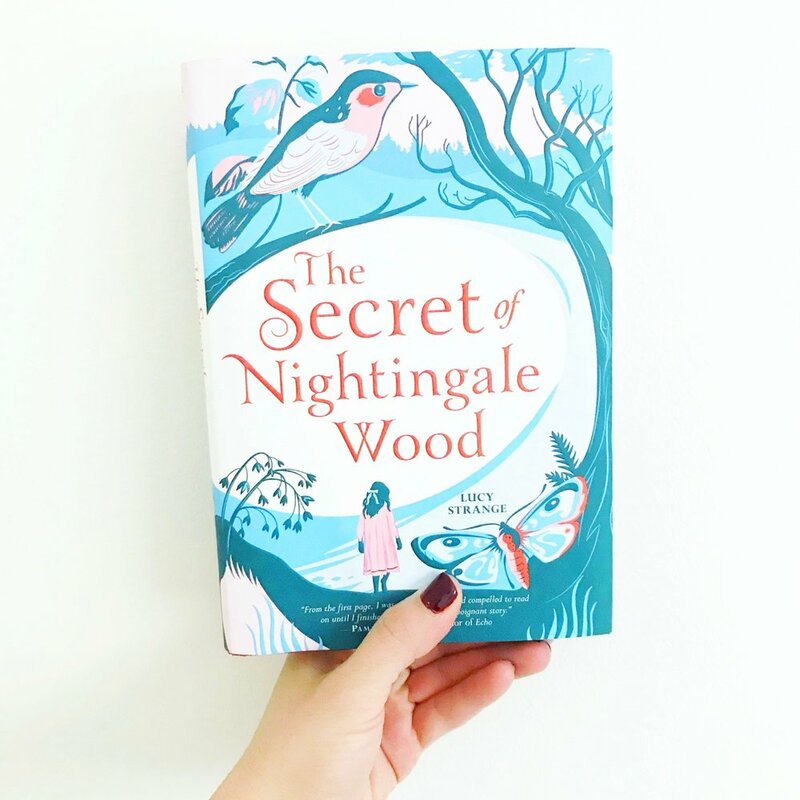 In The Secret of Nightingale Wood, Henrietta (AKA "Henry") and her family have just begun to settle into their new home at Hope House, but shortly after they arrive her father must leave and go abroad. To make matters worse, her beloved brother, Robert, has recently died, her mother is suffering from a debilitating mental illness, and their devoted Nanny Jane is doing everything the doctors tell her to take care of Mama, even if it means keeping Mama locked in a room and giving her medicine that keeps her sedated. 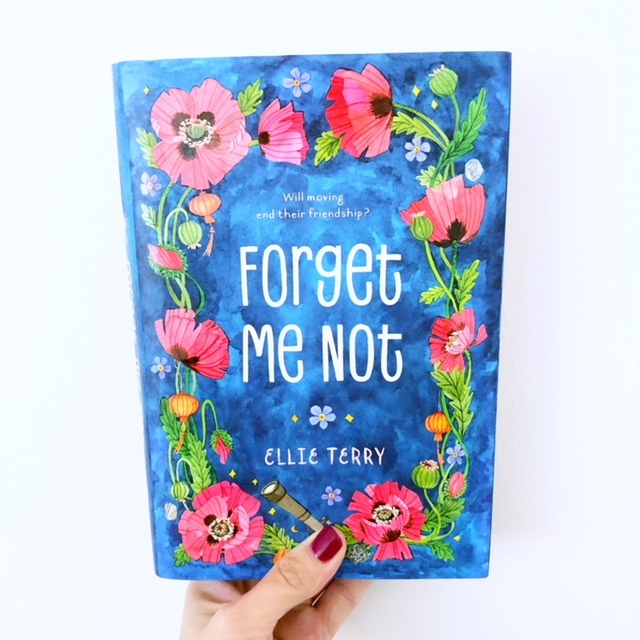 Henry is distraught - but when she wanders into the adjacent Nightingale Wood one evening, she may just meet something -- or someone -- who will help her find the courage to change the lives of those she holds closest to her heart. Considering the current state of our country and the battle raging around mental illness, The Secret of Nightingale Wood was an especially fascinating read when considering how such illness was treated and viewed in the early 1900s. I was captivated by Henry's insight and maturity, as well as her recognition that the doctors treating her mother were getting it all wrong. Even more haunting was Henry's own emotional state, and her constant agonizing over whether she, too, was actually going crazy -- or just looked upon as such. What a beautiful story this was -- I can't stress it enough. 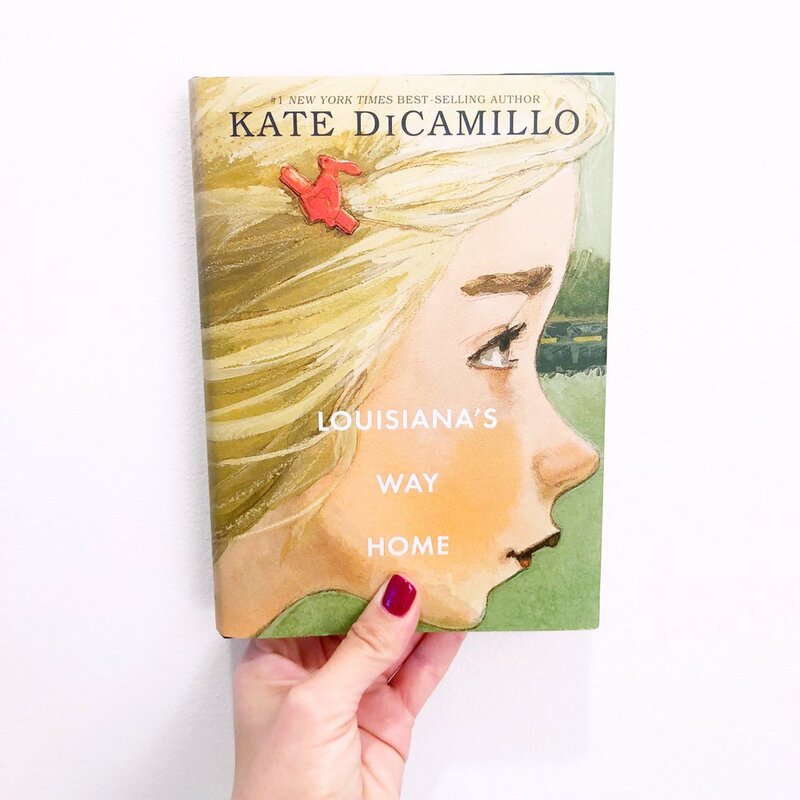 The characters are nuanced and real, their struggles are relatable, and the setting feels just ghostly enough to make its almost tangible beauty both mysterious and intriguing. A must read for your upper elementary kids and students. I could not put it down! Want the book? Get it here! The Secret of Nightingale Wood, by Lucy Strange. *This is an affiliate link. HEE received an advanced review copy of this book in exchange for an honest review. All opinions contained herein are expressly our own. We are so excited for the second post in our new blog series here at Happily Ever Elephants - cover reveals! What is a cover reveal, you ask? Cover reveals happen several months before a new book hits the shelves, and they provide a wonderful avenue for authors and illustrators to share a sneak peak at their upcoming release(s) with their audience. The front cover of a book is, for all intents and purposes, the first page of the story. It communicates to the audience a bit about the pages inside, and it must be compelling enough to draw a reader's attention. From the cover alone, readers often get a sense of the story's genre, tone and writing style. A cover often makes a strong emotional appeal to the reader, thus getting the reader excited about the book pending release. Need I say more? For our second cover reveal here at Happily Ever Elephants, we are absolutely thrilled to introduce you to Suzanne LaFleur. I fell in love with Suzanne's writing when I read Love, Aubrey while I was studying writing for children and young adults at Vermont College of Fine Arts. I even wrote a critical essay on that book at the time (it was that good!!). Last year, I devoured her novel Beautiful Blue World (see our review HERE), which has become one of my all time favorite middle grade reads. I adored the sequel, Threads of Blue, just as much. I loved it so much, in fact, that my fourth and fifth grade student book club at school has just begun reading this series. Thus, when Suzanne reached out to ask if I would like to do a cover reveal for her new middle grade book, I was elated. Here is the summary for her new book, Counting to Perfect. From the author of Eight Keys comes a loving story of sisters who are trying to find their way back to each other. Julia used to be the perfect big sister: she played great games and took good care of Cassie. Now life at home revolves around Julia and her daughter, Addie. No one pays much attention to Cassie: not to her competitive swim meets, and not to what's gone wrong with her friends. When Julia confides in Cassie that she'll be leaving with Addie--without telling their parents--Cassie jumps in the car, too. As the days of lumberjack breakfasts and hotel pools start to add up, Cassie has to wonder: Could the sister who seems to be the source of all her problems also be the friend she's missed the most? I think readers who enjoy the relationships in my books will feel right at home in Counting to Perfect. I've devoted more pages than ever before to the experience of being sisters. The scenes with both Cassie and her sister Julia were my favorites to write. I love how the girls love each other and can be laughing even when they are fighting. I love how they talk to each other, how they banter and argue. I love how they have to discover who they are, with and without reference to each other. Isn't it beautiful? This cover is a story in and of itself, and I cannot wait to get my hands on this book! Ready for some more fun with Suzanne? Check out our speed interview! UNDER THE COVER: Speed Interview! 3. To start your day: coffee or tea? Coffee--but make that an espresso--iced--with almond milk--and vanilla--and something sweet. I'll have another in the afternoon, thanks! 4. In your car: top 40 or podcast? I live in NYC and take the subway, which means I have hands and eyes free to read books. So on the go I'm reading or thinking about what I'm writing. At home I have an audio book on around the clock (except for when writing)--so when cooking, cleaning, coloring, playing video games, and even when I'm sleeping. In the morning I set it back to the last thing I remember. 5. Writing schedule: 9-5 or whenever it fits in? No schedule--but not because I'm trying to fit it in. Because every hour or two of writing takes at least eight hours of thinking. I never sit at a blank page or computer without already knowing what I'm going to write. I carry the scenes around, roll the words in my head until they settle. I listen to the narrator say the same thing over and over. When a scene seems ready, I'll sit to record it. I usually do this in the morning, at a coffee shop, though sometimes I work better in the afternoon, so it varies. I put in longer hours when revising under deadline. 6. What came first: character or setting? Always character. The character explains the setting to me as needed. 7. First draft: sloppy or sleek? A sloppy arrangement of sleek scenes. 8. Writing reward: vino or vanilla? A raspberry tart from Le Pain Quotidien. I love both raspberries and pastry cream so that dessert is heaven. 9. On your nightstand: Newbery or Pulitzer? Newbery. I read one book for adults to every dozen for children. Thanks, Suzanne! Counting to Perfect will be published by Wendy Lamb Books and released on October 23, 2018. You can preorder from Books A Million, Barnes & Noble, or Amazon!